Are compassion, love and kindness really alive and well in humanity? YES. It isn’t really seen on the news, or in much of any big media outlets. However, social media does help us to see that it is alive and well – and growing. Will we continue to see and express kindness, love and compassion after the crisis passes? Is it something we have in our everyday, mundane lives? A friend of mine wrote a fantastic article on this Hurricane Harvey: An Answer to Prayer? She speaks of what answered prayers look like, and it is rarely how we expect. In my own experience, when I ask for something, even downloading the definitions, essence, consciousness of, perspective, understanding, etc., I am still given situations in which to practice. When we ask for kindness, we are presented with opportunities to be kind, and also to recognize and receive kindness from others. “Whether 9/11, Katrina, Sandy or now Harvey, American hands reach out to help one another regardless of race, religion, political affiliation, gender preference or immigration status. When tragedy strikes, Americans act like what most of us want America to be — a place where we come together with a common sense of belonging, care for one another and have the social security of knowing that when we are in need, that same generous spirit will be extended to us. The noise tends to return. There is soooo much noise….everywhere. We quickly return to the old patterns, the criticism, complaining, blaming. Opportunities to take the love, compassion and kindness experienced during disasters into everyday life have been too often left behind. We have yet another opportunity to bring the lessons into everyday life, right now, at this moment. In every moment. Remember that we can be light, and have light thoughts doimiant and still be here on the planet. So, what if we really pay attention to and look for the everyday kindness, compassion and love that is all around us? What if we have true appreciation for what already exists and amplify that? No matter how big and loud or quiet it is, whether for strangers, acquaintances, friends or family. Does it really matter more if it’s for a stranger? The energy of kindness is the same regardless of who it is for*. What if a kindness you give is simply that you think that person who cut you off in the grocery store aisle or in traffic honestly didn’t see you? Whether it’s just because they are highly focused on what they’re doing or just flat-out inconsiderate, what if that didn’t matter? Truly, it isn’t personal at all, so what if you realized that and stopped taking things so personally? What if you had compassion and kindness in that moment to hold a space of love for them, wishing them well? 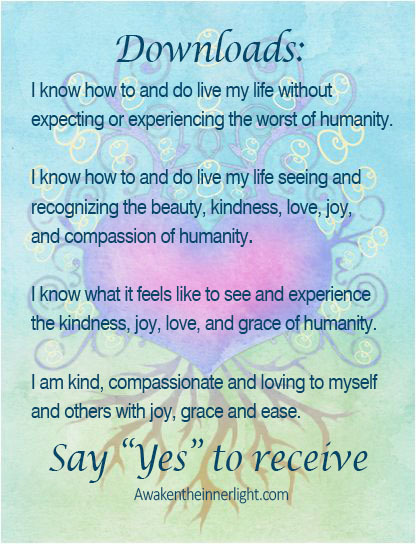 This is a way for us to access and practice everyday kindness, compassion and love. Every bit of it counts, matters and adds to the growing collective bubble. The only reason we think it’s not enough is because we’ve been taught false standards. Now we have hurricane Irma headed for the east coast of the U.S., and fires ravaging the Pacific Northwest. More crisis are taking place now and in the immediate future, and more assistance and help will be needed. Often people feel that prayer isn’t enough, and I assure you it is. No matter what your personal strengths and genius are, put them into practice as best you can, every day. Whether it’s money, prayers, tools, your personal presence, whatever it is…it is enough. You can also open the door for someone, or let someone in front of you in traffic. Carry someone’s groceries for them, or simply wear a genuine smile. It’s enough. It all adds to the energy of kindness, compassion and love that we want to see in the world. Turn down the noise, and have good discernment on what is noise and what is truth (the news really does have both). Compassion, love and kindness really are alive, well and growing in humanity. *Understand and recognize the difference in energy between genuine kindness and obligation. Sometimes we are “kind” because it’s what’s expected, and the energy of obligation is dominant. If you find yourself in this, simply recognize it, and do the inner work to shift whatever the root of this is. It’s ok, and you’re ok. Awareness and self-healing is key. “Downloads” are simply thought forms offered to you. It is your choice to receive them or not. 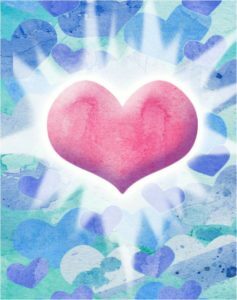 If you receive them and aren’t seeing improvement, there may be feeling or belief work needed before the new energy can be optimally expressed.